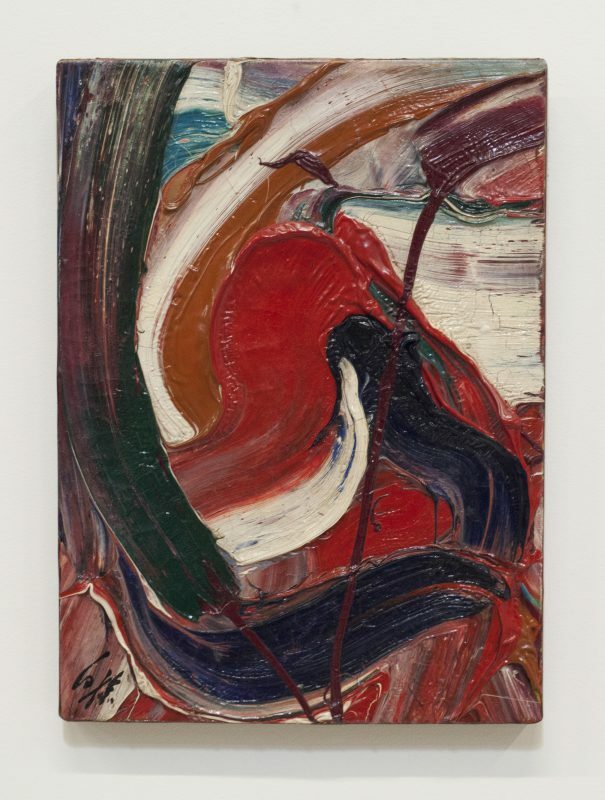 Kazuo Shiraga Untitled, 1961 Acrylic on canvas. 8×10 inches. 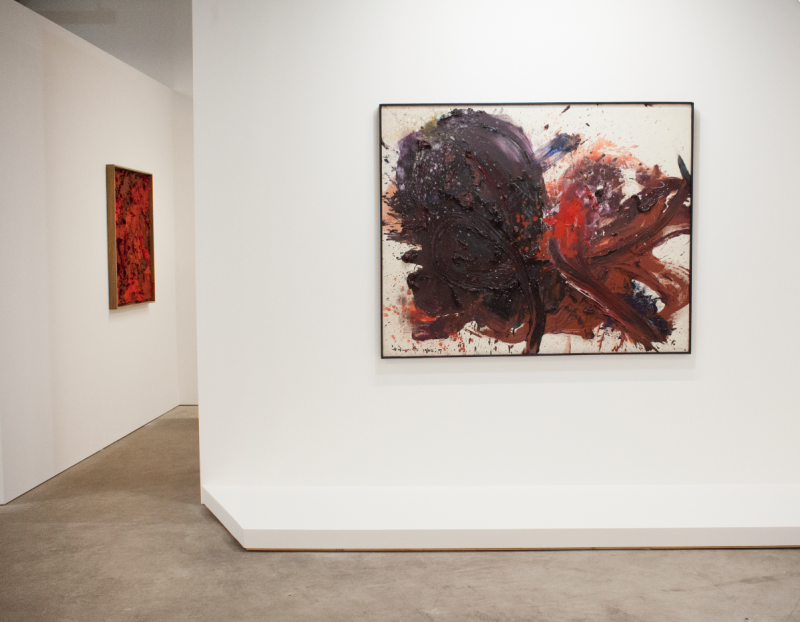 Kazuo Shiraga (1924-2008) was born in Amagasaki, Japan. In 1955, after studying Nihonga (Japanese-style painting) in Kyoto and Western style painting at the City Art Centre in Osaka, he joined the Japanese avant-garde collective Gutai, founded by Jiro Yoshihara. 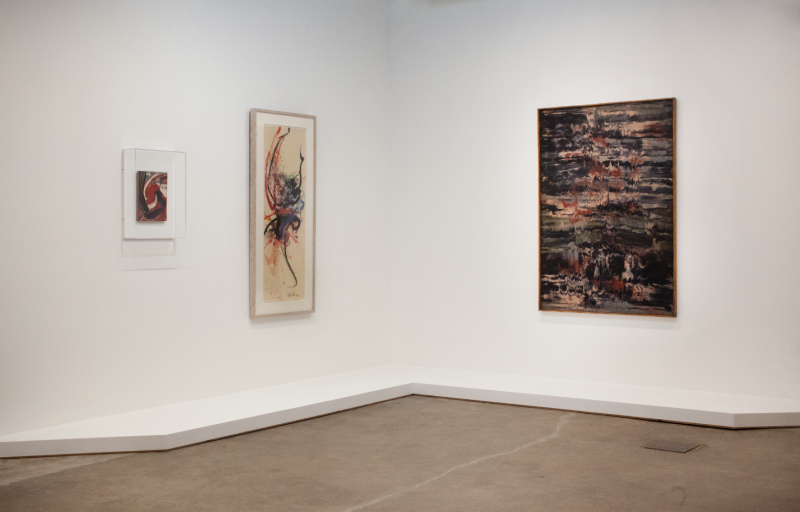 Gutai artists often relied on the use of traditional media such as oils and paper, but used them in new situations or with different processes. Shiraga was best known for painting with his feet. He did this by swinging from a rope hung from the ceiling while sliding across the canvas beneath him using copious amounts of oil paint. The expressive marks and gestures in the paintings are a direct result of the movement of his body, both painting and performing at the same time. 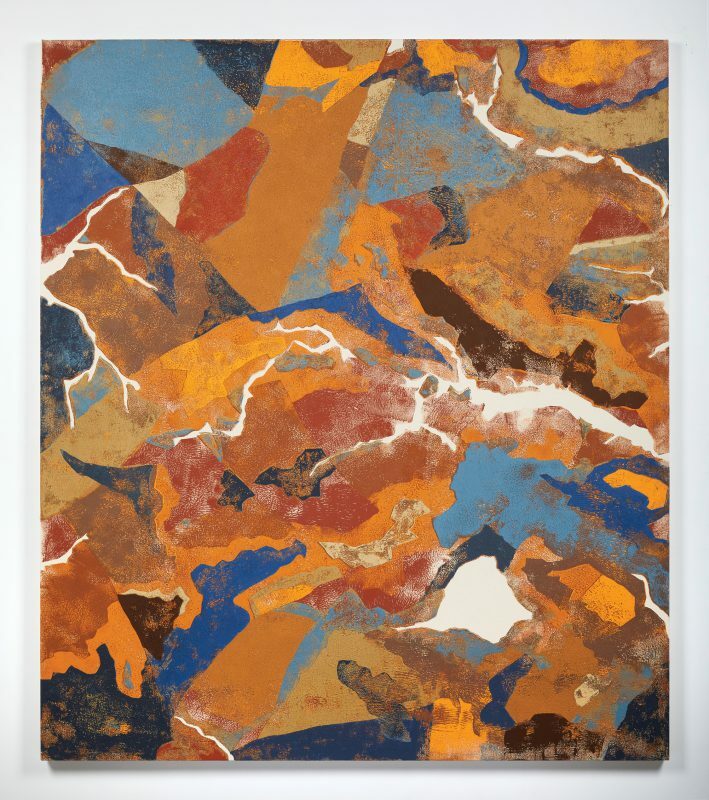 The performance aspect in his paintings was also demonstrated in a famous early work called Challenging Mud (1955), where the artist wrestled with wet mud and cement, manipulating form with his entire body. Kour Pour (b. 1987, Exeter, England) is a Los Angeles-based artist who gained attention for his large-scale paintings of Persian carpets. 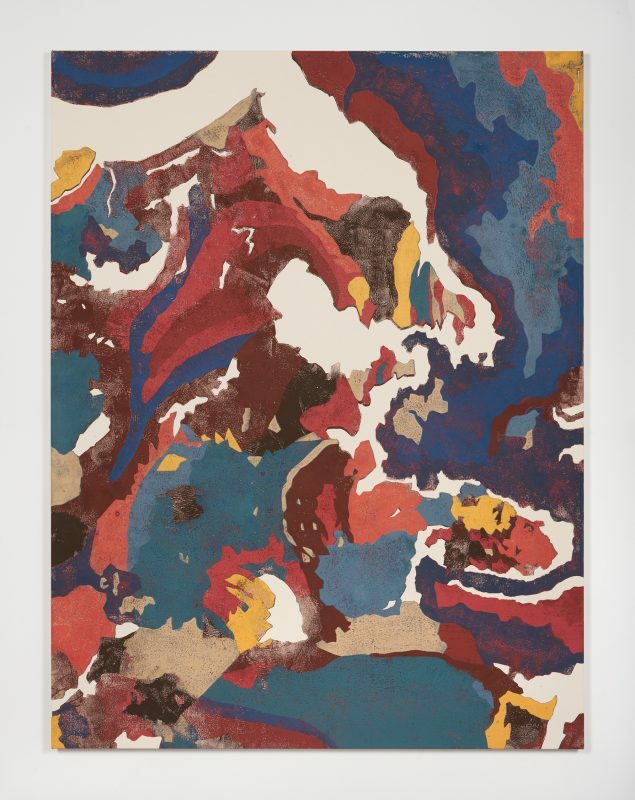 Pour was interested in the rugs’ cross-cultural images and motifs, such as Chinese dragons, Portuguese sailors, and Indian patterns intermingled within the borders—evidence of early global relationships and exchange. Pour’s work often uses familiar cultural symbols and processes to explore various aspects of identity formation, displacement, and the social and cultural constructions of “West” and “East.” These issues are brought into focus through his current series of work that addresses Japonisme—the Western fascination with Japanese art and aesthetics. Pour draws processes and materials from traditional Japanese art, specifically Ukiyo-e printmaking and the paper arts of origami and tsugigami. These ubiquitous craft practices, more often associated with postcards and paper cranes, are used to create abstract paintings visually embedded in an American and European tradition. The results confuse the distinctions between craft and fine art, originality and appropriation, and Western and Japanese art. In 1960, as part of the International Sky Festival in Osaka, 30 paintings by European, American, and Japanese artists were suspended from balloons secured to the rooftop of a department store. Although the Gutai group was far away from New York and Paris, the centers of the art world at the time, the artists made use of the postal service and print media to overcome their geographical distance and connect with other artists such as Lucio Fontana, who took part in this exhibition in the sky. Even though their reach was broad, with supporters like critic and curator Michel Tapié who made efforts to showcase the movement in Europe, the Gutai group was thought to be derivative of the Abstract Expressionists in the West. 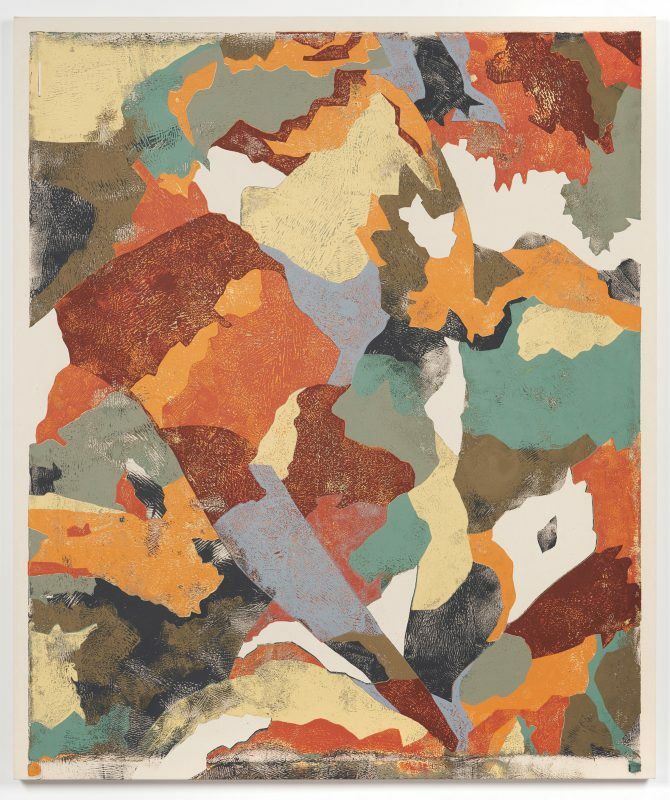 Though artists like Shiraga were clearly interested in and knowledgeable of their Western counterparts, to say that they were simply derivative is to ignore their own independently driven motives and connection to their own traditions. They challenged the hierarchy between the center and the periphery. 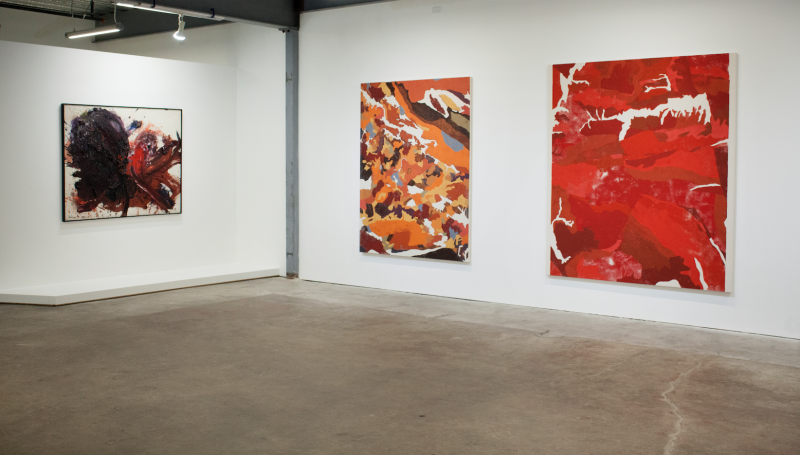 Along these same lines, Kour Pour’s working process gathers and displaces Western and non-Western art by reinterpreting references and highlighting the constant movement of culture. 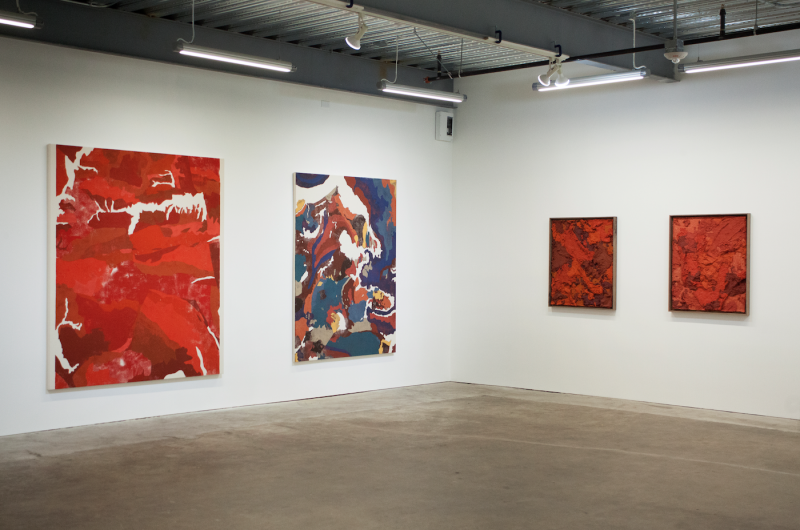 Pour is, in part, an inheritor of Gutai and Shiraga’s quest for unfamiliar territory that comes as a result of cross-cultural exchange and the combination of traditional ideas from different periods and places. 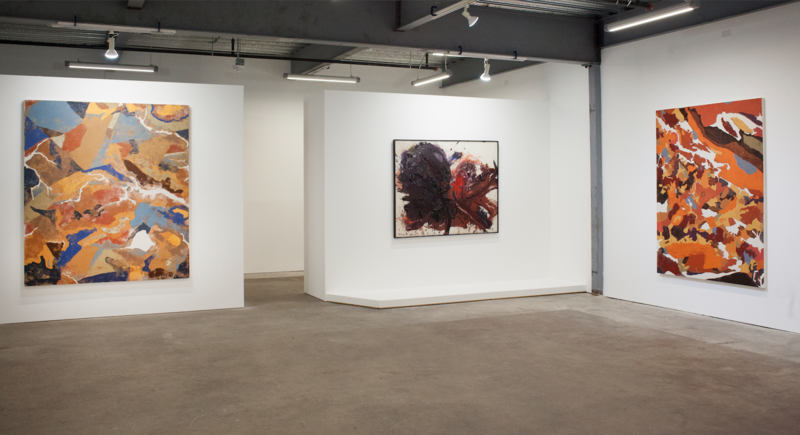 With the story of Shiraga’s career as an example, and Pour’s work as a second, the hope is to cease viewing art as a linear narrative, to become more inclusive, and to continue to re-think the ideas of individuality and Western dominance in a global art world. Kour Pour was born in 1987 in Exeter, England. 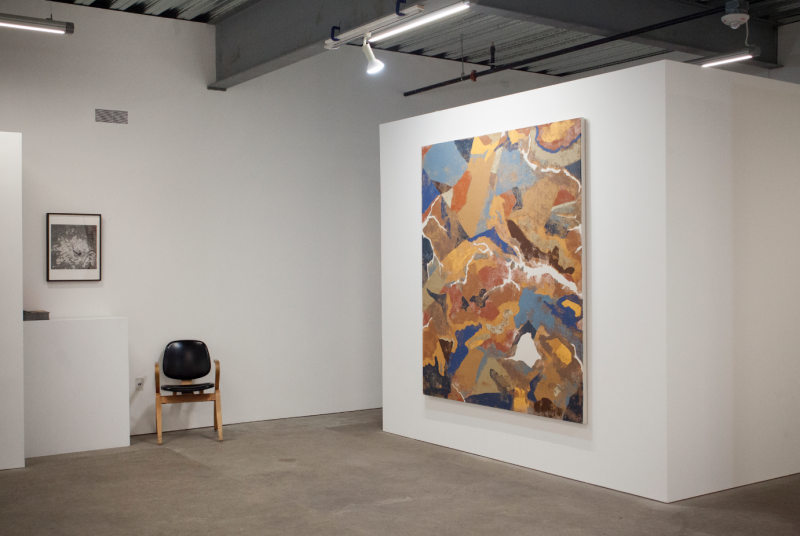 Now based in Los Angeles, Pour graduated from Otis College of Art and Design in 2010. 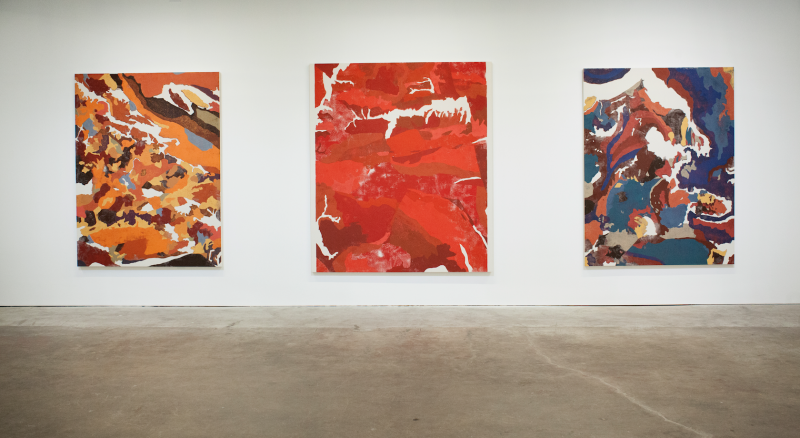 He has exhibited in Los Angeles, New York, Berlin, Dublin, Naples , and Hong Kong, with solo recent exhibitions at Marta Gnyp (Berlin), Feuer/Mesler (New York), and Depart Foundation (Los Angeles). In recent years, Pour has been included in group exhibitions at Pearl Lam Galleries (Hong Kong), Galerie Rudiger Schottle (Munich), Roberts & Tilton (Los Angeles), and Di Donna (New York). Pour was featured on the Forbes 30 Under 30: Art And Style list in 2015.